The following photos are from Parker Canyon in the Sierra Anchas, about 40 miles north of Globe. Parker Canyon is truly magnificent. 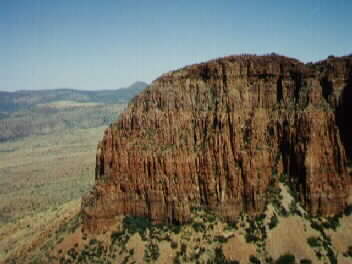 It offers a stunning view of the great Tonto Basin, with Roosevelt Lake at its bottom, and also these spectacular cliffs. 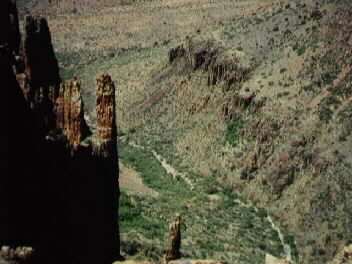 Photographs of Parker Canyon have appeared in the magazine Arizona Highways. Thankfully, they are fairly hard to get to, and so have not become a huge tourist attraction. 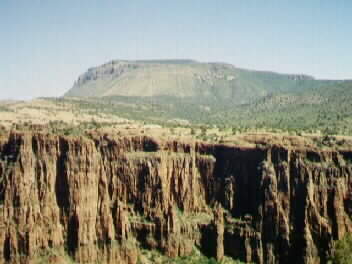 A beautiful view of the Parker Canyon cliffs. Another view of Parker Canyon in the Sierra Anchas. Still another view of Parker Canyon. 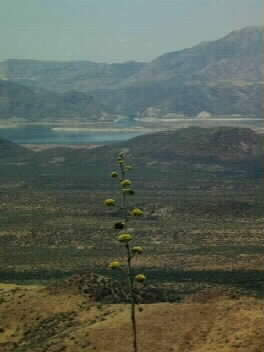 A view of Roosevelt Lake from Parker Canyon. 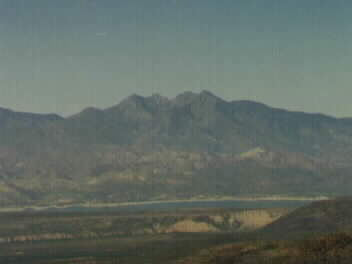 This is a view of Four Peaks from Parker Canyon.